45% Off ALL Bernhardt Upholstery! 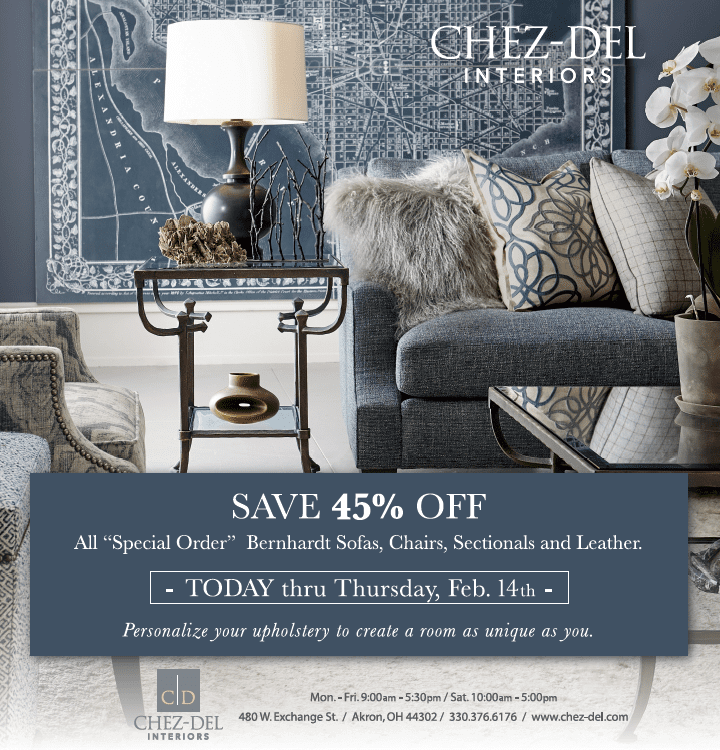 Today through Thursday, February 14 you can get 45% off all special order Bernhardt sofas, chairs, sectionals and leather. So do yourself and your sweetie a favor and take advantage of this Sweet Deal!